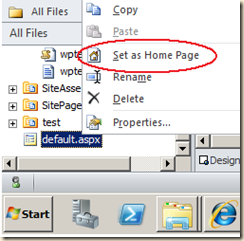 By default a SharePoint 2010 publishing site uses default.aspx as its welcome page. There are so many conditions where we use our custom web part page as the default page for our publishing site in place of general default.aspx. The best example for this is an application dashboard as the default page. 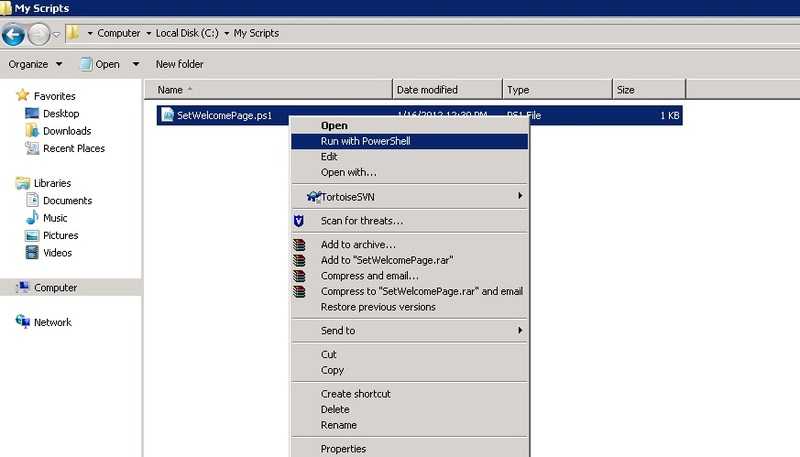 Right-click the new page and click "Set as Home Page". Now, navigate back to a site and see that the homepage is now set to the given page.